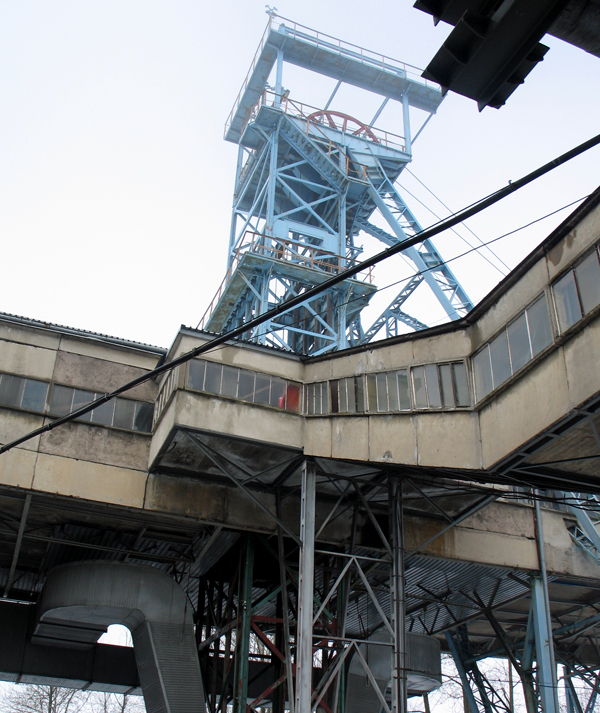 The Trzebionka mine located in Trzebinia city (Upper Silesia, southern Poland) based on zink and lead ore was running incessantly since 1962. The oldest notices about extraction of lead and silver ore near Trzebinia date from XIV century. 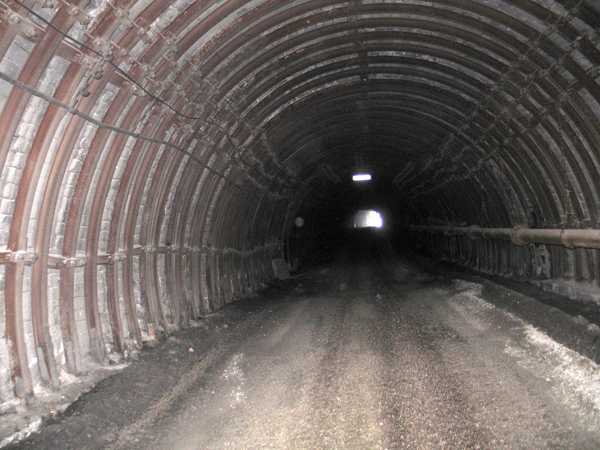 The mine has been closed this year due to the depletion of a deposit. 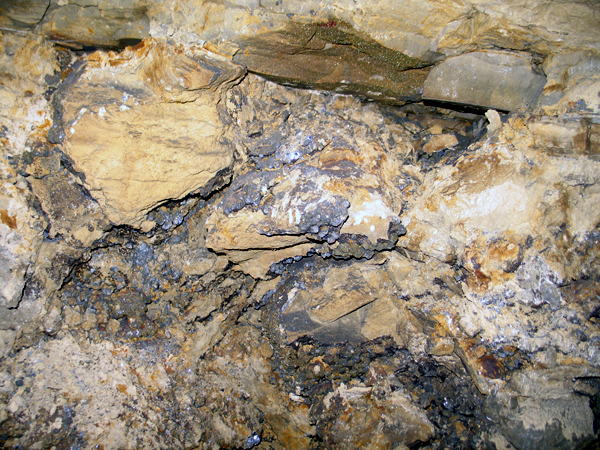 Zinc and lead ore was hosted by a several meters thick Triassic dolomite layer. 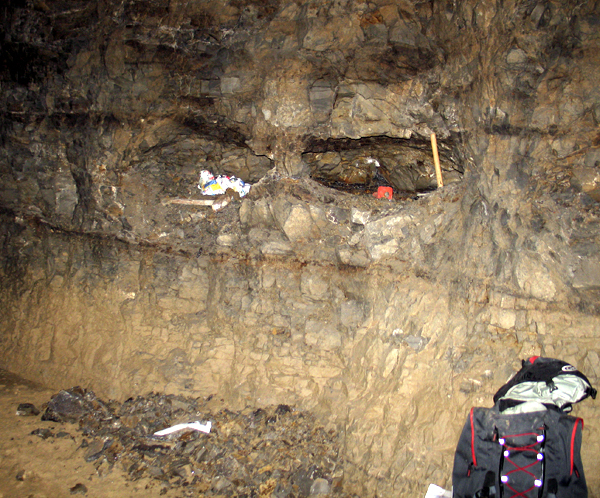 The ore deposit occurred at a depth of 200 m in a horizontal position. Access to the mine workings was via several mineshafts and 1500 m long decline ramp so it was possible to visit the mine by car. 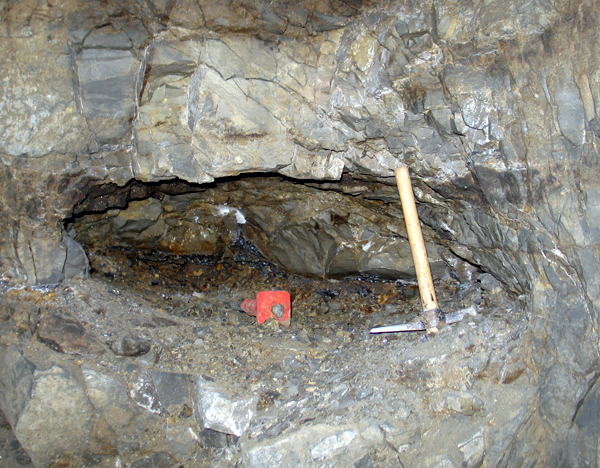 The surface area of the ore deposit was 12 km² (6x2 km). The main ore minerals were sphalerite and galena accompanied by marcasite, pyrite, cerussite, smitshonite, hemimorphite and calcite. During exploitation some zones with caverns occurred. 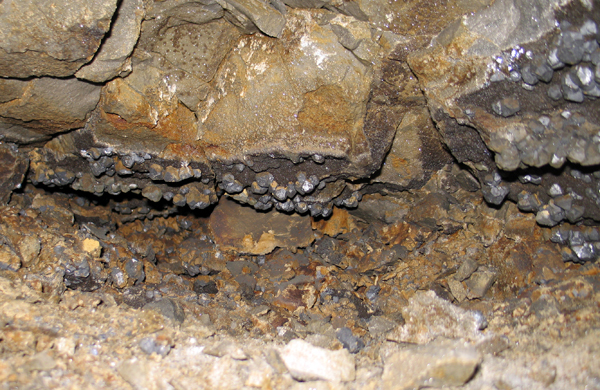 The caverns were a dozen or so of centimeters to over a meter big. Some pockets were filled by mud – others had voids. Those with voids were covered with galena crystals of much better quality – lustrous, sharp etc. 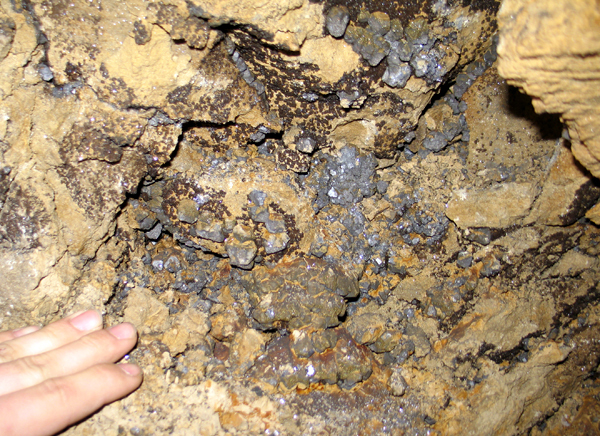 Cavities were lined with fine-crystallized brown sphalerite with up to 3 cm big galena crystals, in form of octahedrons and cuboctahedrons (most common), on it. The most famous specimens found in Trzebionka were the galena crystals (of medium luster) on sphalerite and the crystals of cerusite on galena. Our last visit to Trzebionka was in March 2010 and it was the last glance at caverns with crystals. We had than the last opportunity to collect specimens from this calssic Polish locality. At present water pumps do not work any more and the mine is being flooded. 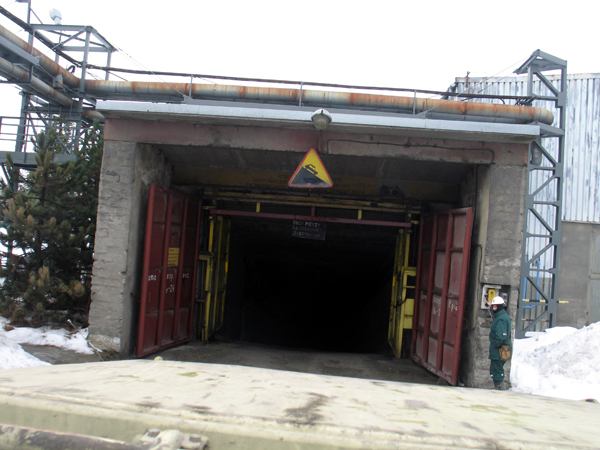 The shaft of Trzebionka mine. Fot. K. Dembicz. 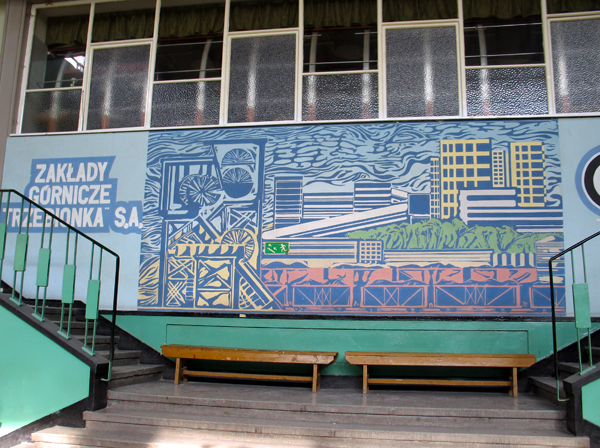 Painting showing the Trzebionka mine. Fot. K. Dembicz. 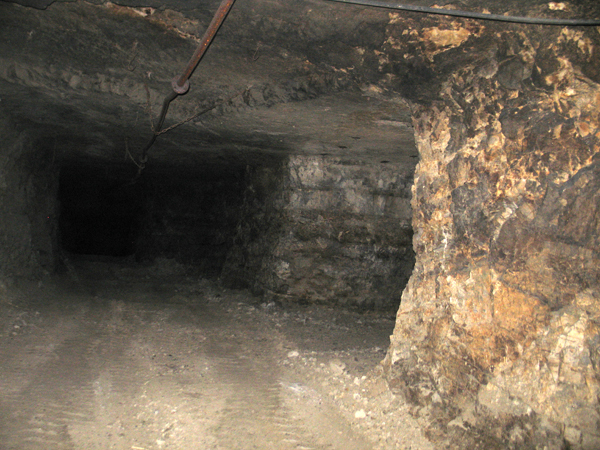 Adit to the mine. Fot. K. Dembicz. 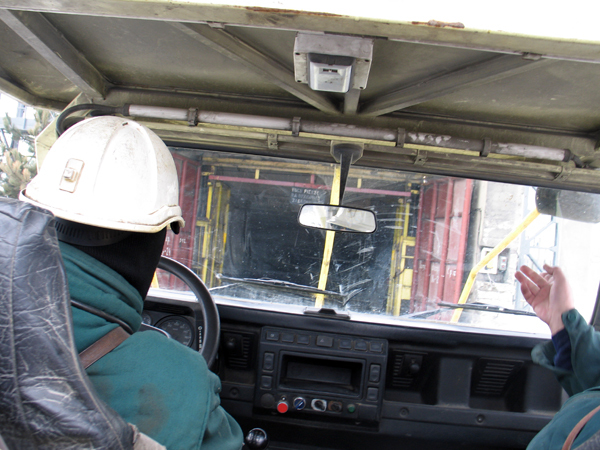 We drive into the mine by car. Fot. K. Dembicz. Mine`s decline ramp. Fot. K. Dembicz. Mine`s gallery. Fot. K. Dembicz. 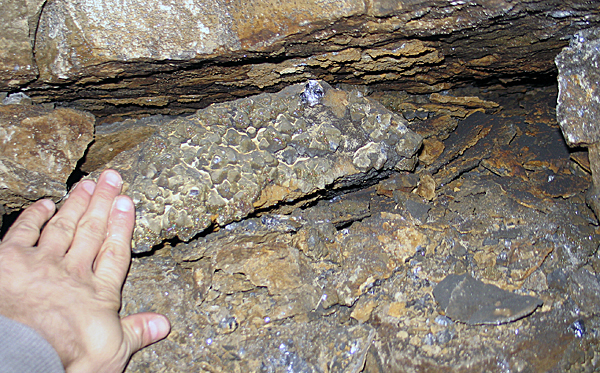 The zone with breccia with numerous pockets with galena crystals. Fot. K. Dembicz. Breccia with pockets with galena crystals. Fot. K. Dembicz. Galena coated by marcasite in situ in the pocket. Fot. K. Dembicz. Big pocket with good quality galena crystals. Fot. K. Dembicz. Galena on sphalerite in situ on the pocket`s walls. Fot. K. Dembicz. 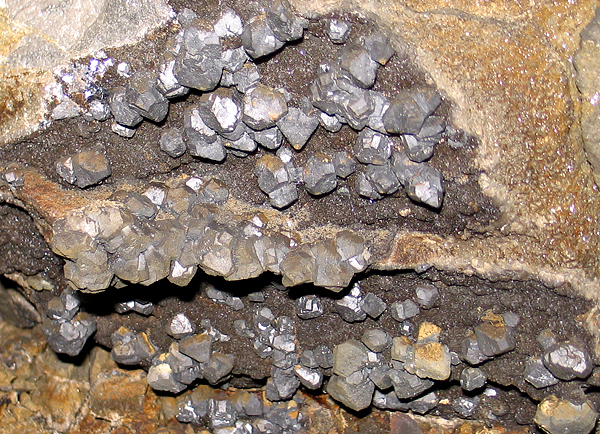 Galena cuboctahedrons on sphalerite in situ on the pocket`s walls. Fot. K. Dembicz. 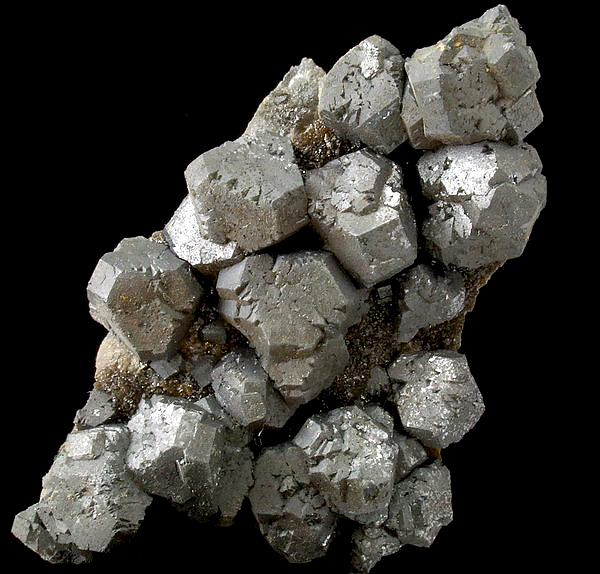 Galena cuboctahedrons on sphalerite, size 6,8 cm; Trzebionka mine, Poland. Fot. G. Bijak. 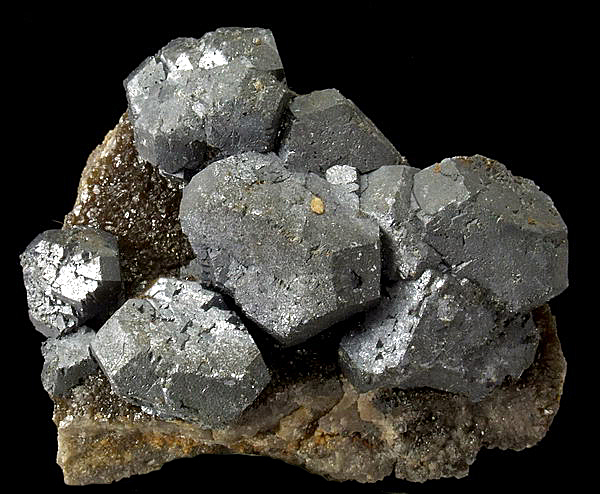 Galena cuboctahedrons on sphalerite, size 3,5 cm; Trzebionka mine, Poland. Fot. G. Bijak. 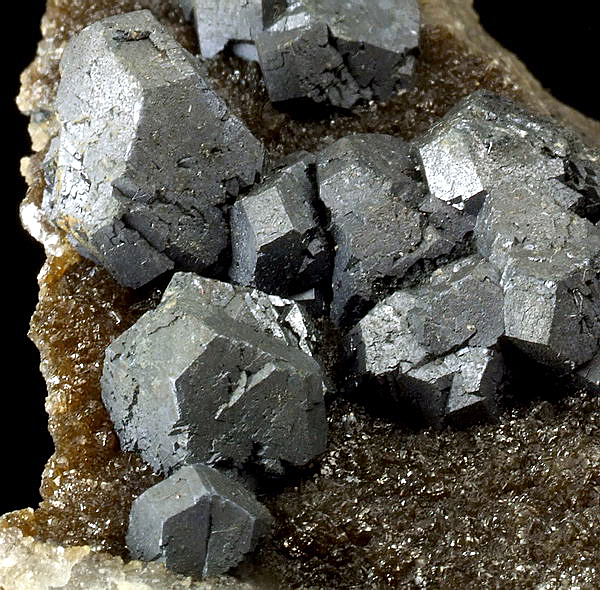 Galena cuboctahedrons on sphalerite, view 3 cm; Trzebionka mine, Poland. Fot. G. Bijak. 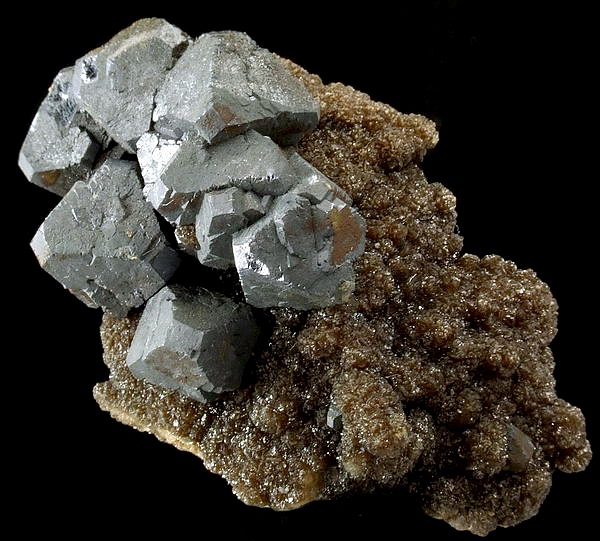 Galena cuboctahedrons on sphalerite, size 5,1 cm; Trzebionka mine, Poland. Fot. G. Bijak. 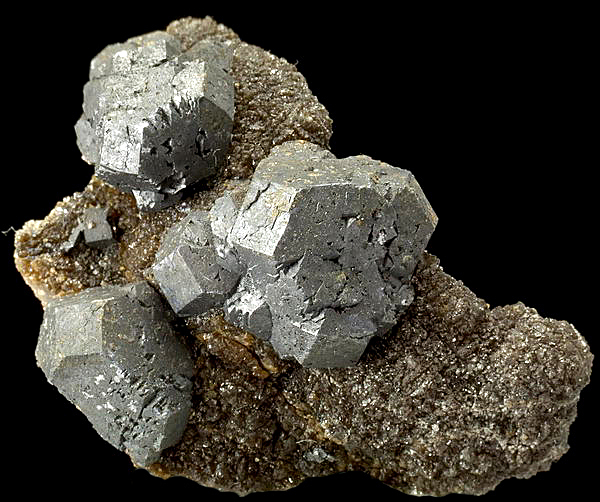 Galena cuboctahedrons on sphalerite, size 3,2 cm; Trzebionka mine, Poland. Fot. G. Bijak. Fantastic report , especially the pictures of the find. Thanks.